We are independent financial advisers (IFA’s); established in 1979, and now authorised by the FSA. Our business is built on trust, service and competence, and our experience will help you plan your personal and business financial matters. 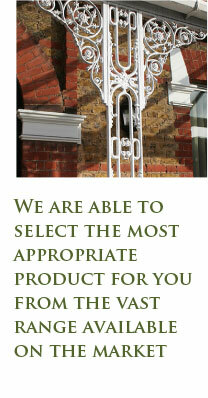 As IFA’s we are able to select the most appropriate product for you from the vast range available on the market. This enables us to find the perfect solution to your financial needs. We will either work on a fee or commission basis which would be agreed at outset. Whether the overall objective is wealth creation or wealth preservation, we take into account all the needs and objectives, providing tax efficient solutions for both personal and corporate clients. By being aware of developments in the ever changing tax legislation and with a comprehensive knowledge of available plans and schemes , we are able to advise accordingly. We gain a full understanding of your circumstances and requirements before making recommendations. We provide advice which is most suited to your personal requirements and risk outlook and work closely with a firm of solicitors so that legal matters affecting your needs can be dealt with at the same time.